Italian fashion was born in Florence on February 25, 1961 when the Count Giovanni Battista Giorgini organized a fashion show for an international audience. The event revealed Italian fashion as an art expression, but also as an important part of the Italian social and economical environment. Since then, the fashion system has quickly evolved, often anticipating social and economic revolutions. 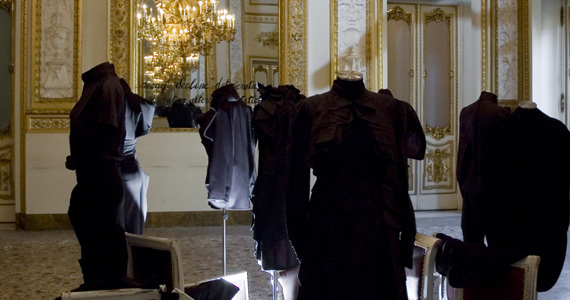 These continuous developments are still ongoing, increasing opportunities for those who want to work in fashion.Working in this environment, the Polimoda International Institute for Fashion and Marketing in Florence offers a vast selection of courses and masters related to fashion, meeting the needs of the fashion system. In addition to more traditional but fundamental courses in fashion design, the fashion school organizes fashion management masters in order to form professional fashion managers specialized in communication, marketing, the organization of events and much more. The educational offering at Polimoda is certainly complete for those who intend to begin a career in fashion management. Students can attend summer courses, postgraduate programs and masters in fashion marketing which offers a high-level education in fashion marketing management. There are masters in fashion communication providing a broad view of the communication scenery in fashion and beyond it. Since communication and marketing are strictly related, the school organizes an excellent master in fashion marketing communication that combines the best of the two disciplines. Then there is a retail management course, a merchandising management master, and a master in luxury management. Polimoda is certainly an internationally renowned school of fashion and marketing as well as an important fashion business school that offers what the fashion system wants: qualified fashion managers.